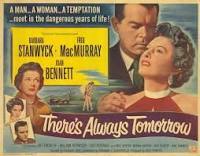 "There's Always Tomorrow" is a movie, which one critic calls a "sudsy but well-acted soap opera." "There's Always Tomorrow" is a song, too, most famously recorded by Burl Ives. Most of all, "There's Always Tomorrow" is a sentiment. It's what we feel. It's what we tell ourselves. It's a comforting thought. 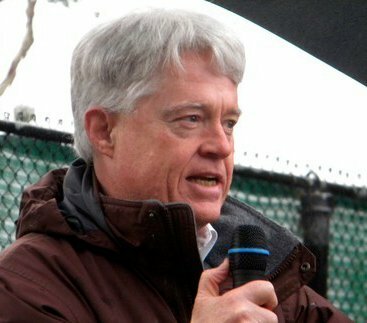 During most of the years I was growing up, I had an ongoing disputation with my father, which surfaced in different specific circumstances, and which was always a "friendly" argument. The essence of the argument was this: I said things were coming to an end because it was clear that things couldn't go on the way they were. My Dad said, "things have always been like this" (and, implicitly, they always will be). I'm older now than my Dad was when we had this ongoing argument. I wish I could say that age and reflection have brought me around, and convinced me he was right. It's an argument I hate to win.